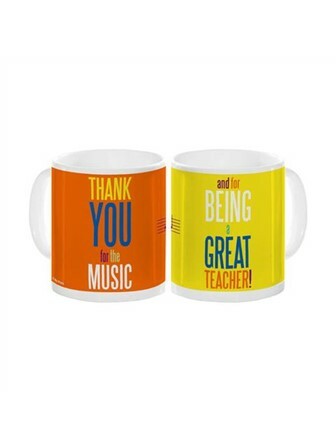 Say thank you to your music teacher with this white-gloss ceramic Mug. The perfect end-of-term gift with a bold, stylish design and a thoughtful message. Say thank you to your music teacher with this white-gloss ceramic Mug. The perfect end-of-term gift, this mug features a bold, stylish design with a thoughtful message.